Decatur County (pop. 25,740) is west of Franklin County. The population has been growing since 1930, when it was 17,308. It’s one of five Decatur counties, all of them named for Commodore Stephen Decatur, Jr. (1779-1820), American naval hero. The county seat of Decatur County is the city of Greensburg (pop. 11,492). The former Carnegie Library is on the National Register of Historic Places. 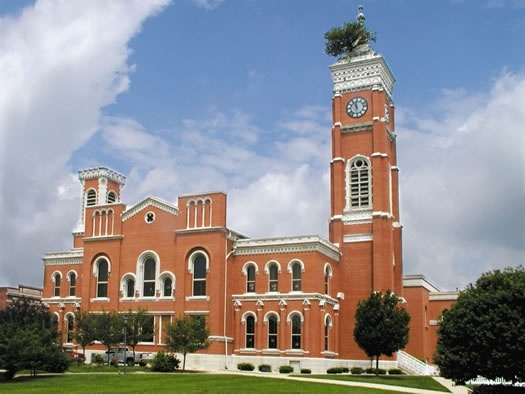 The Romanesque-style Decatur County Courthouse (1854) is well-known for the mulberry tree growing on the roof. Greensburg has a “Last Supper Museum,” with more than 1,800 works of art depicting Jesus’s Last Supper. Honda Motor Company opened an assembly plant in Greensburg in 2008. 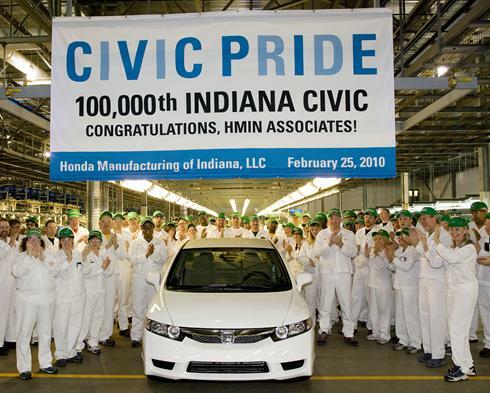 The plant, with about 2,000 employees, manufactures Honda Civics. The Westport Covered Bridge (1880) is in the southwestern part of the county. Westport has an annual Covered Bridge Festival. This entry was posted in Indiana and tagged Greensburg, Honda, Westport Covered Bridge.